The '90s Zone: Return! Plus Fresh Prince! Hi! Sorry for the inactivity lately, I've had some stuff in ~*the real world*~ to deal with this past month and I haven't really felt the inspiration to jam about the '90s lately. Those things didn't exist in the '90s though so I won't pour them out onto here. 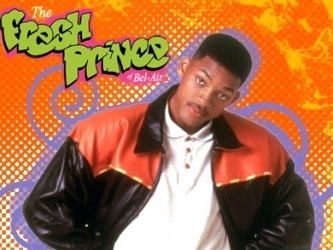 It's the Fresh Prince of Bel-Air! Yes sir, a few days ago my mates and I were eating pizza and watching TV and this old gem came on. Brought back some golden memories of grade school. In particular coming home after karate (a big thing in the 1990s, also for the past two thousand years probably) and watching it at like 8PM. This is what replaced Dragon Ball Z. I guess it was a fair enough trade off. I also remember a friend falling asleep on top of me one time while spending the night back in high school and being completely unable to crash because of how badly I had to piss. I didn't want to wake her up so I couldn't go to the washroom. It really sucked. In my haste to stave off the late night until she woke up I turned on the television and a Fresh Prince marathon was playing. I'd like to thank Will for giving me the strength to hold it all in. I could probably go on a tangent about how this show slung Mr. Smith into stardom or something about race relations but no I am talking about how it saved me from a rather unpleasant experience.